Interested in manufacturing and industrial space in Brooklyn? 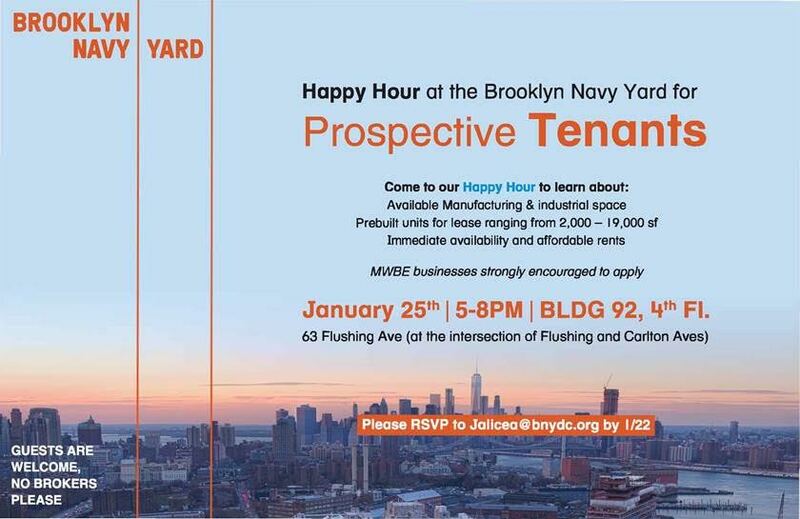 The Brooklyn Navy Yard will be hosting a happy hour on January 25th from 5 pm to 8 pmto discuss prebuilt spaces ranging from 2,000 – 19,000 sf. MWBE businesses strongly encouraged to apply. Please RSVP to Jalicea@bnycdc.org by January 22nd. If you have any questions please contact Stephen Fabian.